It’s a basic law of online marketing – if you have a blog it needs to be regularly updated to maintain a high level of readership. If you don’t provide informative content on a regular basis, you simply won’t get any return visitors – and no visitors equals no profits! So it’s no secret that you need to continually find fresh content for your blog to write about, and in this article we’re going to discuss how to do just that. And forcing yourself to write about a subject will not establish a welcoming style to your readers! Once you have chosen your main theme, start posting to your blog and make it a habit to post at least once every day, even if it’s only a comment on the newspaper article you read today. Think of yourself as a gigantic train. It takes a lot of effort to get you moving. First, you might just budge an inch, and later trudge slowly on until you finally reach your full speed. Then, once you get going, it’s almost impossible to stop. 1. The very best way to brainstorm is to see what other bloggers have to say about stuff happening in your niche – and the best way to find related blogs is to search blogsearch.google.com or technorati. When you research other blogs you can gather more knowledge and information on your subject. You can then make reference and comment on what others have to say on your own blog! 2. Once you’ve established contacts with other bloggers in your field, you’ll have quite a continuous “conversation” happening on your blog, so you’ll not need to actively search for more content to write about. A great place to find additional information is to search for news articles related to your niche in the local newspaper or via any of the many online article directories. 3. You can also have contact with people with the same interest as you in your particular niche you choose, so you will eventually build up a bank of questions and answers and interesting discussions to write about in your blog. To do this, join forums related to your niche, but don’t join every forum there is out there. Stick with one or two of the most focused and most popular in your niche. 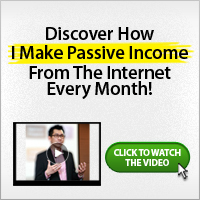 This will also come in handy much later in gaining traffic and generating profits. Above all, you must keep up your momentum of posting at least once per day (or more if you have a lot of content to write about) to entice your readers to keep coming back each day to see what is new. Doing this will also attract the attention of the search engines as they will recognize that you are updating your blog with fresh content everyday – and they just LOVE this. So the added bonus is that your blog will get spidered on a more frequent basis and when this happens you have a higher chance of getting extra traffic from the search engine listings.